Find the best discounts and offers on Valpolicella Wine. Refine your search with filters and pick exactly what you are looking for. Compare current prices, read reviews and use exclusive voucher codes if available. 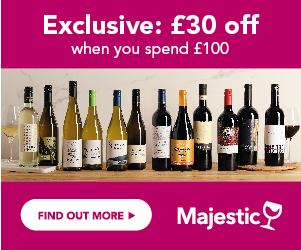 Sign up to Price Alerts and we will notify you as soon as your favourite bottle goes on sale. After Chianti, Valpolicella has been the best known red wine from Italy for decades, and also follows it in terms of volume production. In many respects Valpolicella is the red equivalent of Soave, which soared to fame in the Uk in the 1980s, and has had a turbulent journey, with the same highs and lows as Soave regarding quality and style. There are some outstanding wines from Valpolicella, there are some bad ones. It is by far the most important and largest production red wine from Veneto, well ahead of the other well known red of the region, Bardolino, although both these wines have fallen slightly off the radar recently , with the new wave of varietal wines from Veneto, and also the growing popularity of Southern Italian and Sicilian reds, slightly eclipsing them. Valpolicella came to fame in the UK in the 70s, when the wine boom was just beginning but has a long history. This northern region , with its cooler, continental climate tends to produce lighter, juicier styles of red, and yet, within this context the Valpolicella region manages to produce one of the biggest, boldest Italian reds of all, Amarone di Valpolicella! The vineyards stretch north of Verona for about 10 miles, and border Soave and Bardolino. The weather is continental and far more moderate than further south in Italy, with hot, glorious summers, but foggy, freezing cold winters. Just like Soave, there is a smaller designated area, within Valpolicella, which produces the higher quality and quite often outstanding Valpolicella Classico, from vineyards situated on the steep heels north of Verona. The Valpantena sub-region, produces some of the top Valpolicellas, due to its tighter yield and production controls, sunnier location, and good soils. It lies just north east of Verona, and is highly regarded for its racy, fruit driven, yet nervy reds. Valpolicella, just like Soave, has a mixed and slightly flawed reputation in the UK due to the proliferation of cheap, thin, acidic reds that have hit our shores in the past. However the quality of the basic valpolicella that is now available has improved dramatically in the last 10 years. Valpolicella – fresh flavoured, and light to medium-bodied, Valpolicella is all about appealing, easy drinking red wine, with low tannins, and a soft fruity flavour of red cherries, and a tangy edge, with a sprinkle of toasted almonds and herbs! Valpolicella Classico – from the higher quality designated vineyards, these wines offer richness, roundness and character, albeit still with a fresher, slightly lighter and more fragrant style than many of their southern counterparts. Ripe cherry and fresh herb fruit, with a whack of refreshing acidity on the finish. For those who love great reds, but don’t want the tannin or heavy alcohol hit! Ripasso della Valpolicella - wine producers in Valpolicella have fought for years to try to create richer, fuller styles of red, which is difficult for them, given the climatic conditions of north-eastern Italy. Therefore various techniques were used, which have resulted in a far richer, more powerful range of wines, including the world famous Amarone. For Amarone, the grapes are left to dry outside in the sunshine, to concentrate the sugars, the phenolics and the colours; the grapes are then vinified and produce wines of immense concentration and power. For Ripasso wines, some of these sun-dried grapes are crushed and refermented with standard Valpolicella to create a far richer, intense, and structured style of wine, with rich, almond and black cherry fruit. Recioto della Valpolicella - this is a luscious, unusual, sweet red wine, made entirely from sun- dried grapes, which were harvested early, and then left out to dry on mats until the following February, by which time, there has been an intense concentration of sugars, acids and flavours, as the water in the grapes evaporates. In modern times, the process is to dry the grapes on steel frames, on pallets, to achieve the same effect.The grapes are then pressed and fermented until the wine has reached the required level of sweetness and alcohol, after which they are aged in large barrels for 2 years. Amarone – the pinnacle of Valpolicella wines, and a worldwide success story, these have an unbelievable intensity and power, reach 15% alcohol, and at their very best, deserve a place in the world’s top wines. Valpolicella is produced from 3 local grape varieties, Corvina, Rondinella and Molinara, all low tannin, juicy red grapes, of which Corvina is the highest quality and the most important. The styles of Ripasso, Amarone and Recioto evolved because of the local producers’ desire to create red wines of more intensity and richness than the natural fermentation of their red grapes would allow. Valpolicella – this light, fresh cherry fruit style of wine works perfectly with everyday pasta suppers, sausages, and also platters of cured meats. Great, simple, easy drinking red. Valpolicella Classico – richer,more structured, but still with that intensely wild cherry edge, this style is great with herb crusted lamb, or veal, chicken in red wine, cheesy risotto, and tomato based pasta dishes. Ripasso della Valpolicella – these rich, intense wines are perfect with good steak, rich beef stews, prosciutto and herb wrapped chicken and a wedge of decent cheese. Amarone – the pinnacle of all the wines from this region, this is hefty stuff, normally at 15%, and is best with top quality beef, a risotto cooked in the same wine, which is one of the specialities of the regions, or with a chunk of top grade Parmigiano. Recioto di Valpolicella – many people are surprised when they see that a chilled, sweet wine is red. These wines are divine, with intense flavours of chocolate and raspberries, with a luscious edge; perfect with blue cheese, but most of all with anything chocolatey.